Fractal geometry is increasingly becoming a useful tool for modeling and quantifying the complex patterns of natural phenomena. The Earth’s topography is one of these phenomena that have fractal characteristics. This paper investigates the relative sensitivity of topography to active tectonics using ASTER Global Digital Elevation Model. The covering divider method was used for direct extraction of surface fractal dimension (D surf ) to estimate the roughness-surface of topography with aid of geographic information system (GIS) techniques. 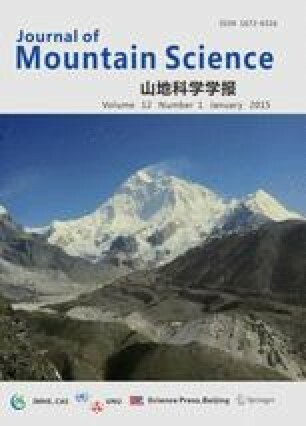 This evaluation let us highlight the role of the geomorphic and tectonic processes on the spatial variability of fractal properties of natural landforms. Geomorphic zones can be delineated using fractal dimension mapping in which variability of surface fractal dimension reflects the roughness of the landform surface and is a measure of topography texture. Obtained results showed this method can be a quick and easy way to assess the distribution of land surface deformation in different tectonic settings. The loose alluvial deposits and irregularities derived by tectonic activity have high fractal dimensions whereas the competent formations and higher wavelength folded surfaces have lower fractal dimensions. According to the obtained results, the Kazerun Fault Zone has a crucial role in the separation of the Zagros Mountain Ranges into the different lithological, geomorphological and structural zones.